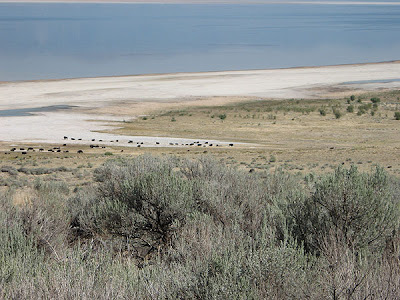 There's this whole island out in the middle of the Great Salt Lake in northern Utah covered in native antelope and bison. My boyfriend insisted I see it. Those dark spots are all bison. Enjoy the photo spam! I don't have much to say as the bugs and gnats on the island kept us in the car. Grandma's Visit and an Antique Farm! My grandmother visited me while she was in town for a party for her missionary group. My boyfriend and I took her up to the party and discovered the farm was full of beautiful antiques! They allowed me to take pictures, so enjoy some select shots of lovely items found on the property.